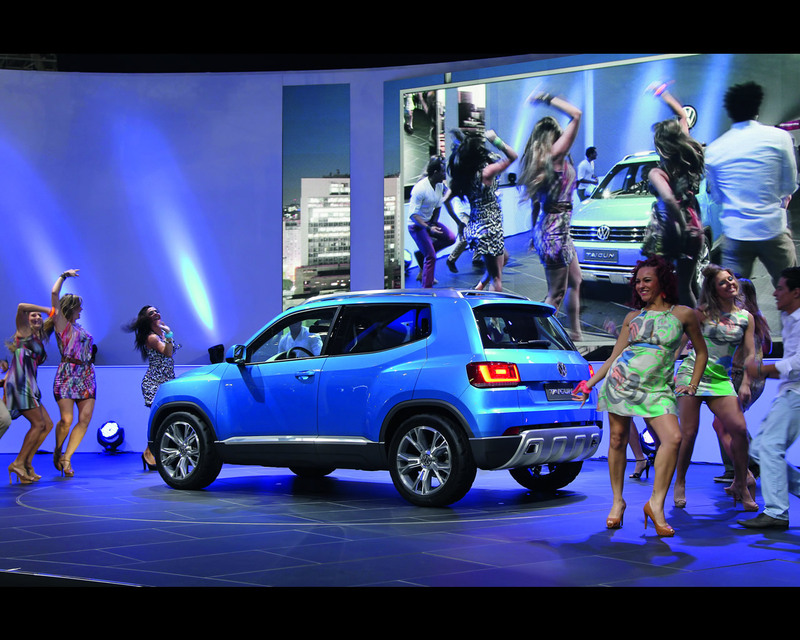 Wolfsburg/São Paulo, 22 October 2012 – At the 2012 São Paulo International Motor Show in Brazil, Volkswagen presented the concept of a newly developed SUV in compact format in a world premiere: the Taigun. 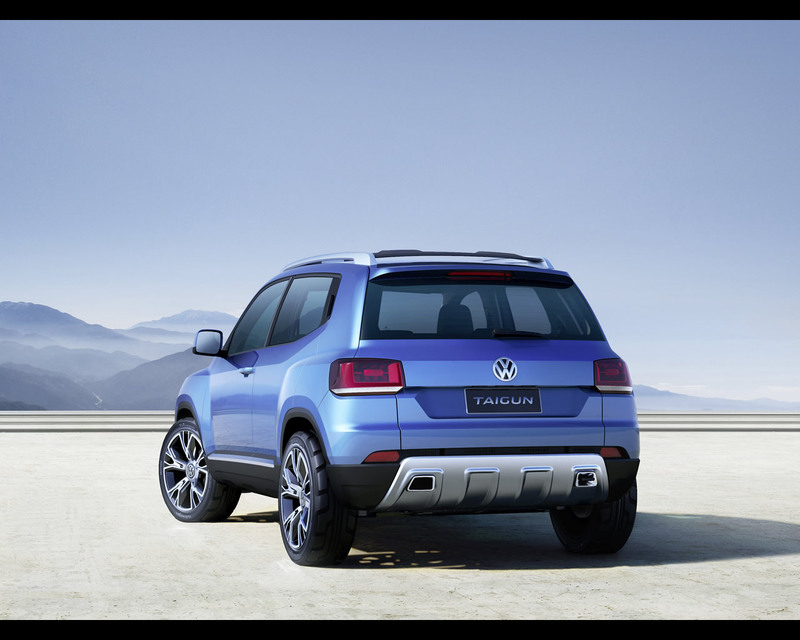 The four-seat concept car is powered by a new 1.0-litre TSI engine with 81 kW / 110 PS. 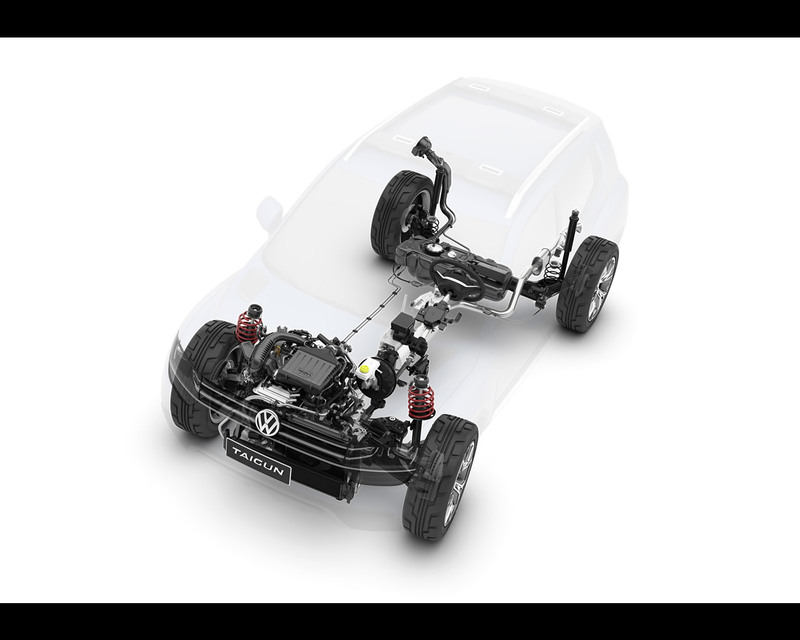 The Taigun engine extends the range of the three-cylinder petrol engines by adding direct fuel injection plus turbocharging technology, which opens a new chapter in downsizing strategy at Volkswagen. The engine delivers a high torque of 175 Nm at a low 1,500/min. Dr. Ulrich Hackenberg, Member of the Board of Management of the Volkswagen Brand for Technical Development, comments: “The torque-strong three-cylinder is an ideal engine for such a compact SUV; it is a companion for driving through the urban environment that is as efficient as it is dynamic.” The lightweight concept car, weighing 985 kg, has a top speed of 186 km/h and accelerates to 100 km/h in 9.2 seconds; its combined fuel consumption is about four and one-half litres of fuel per 100 km. 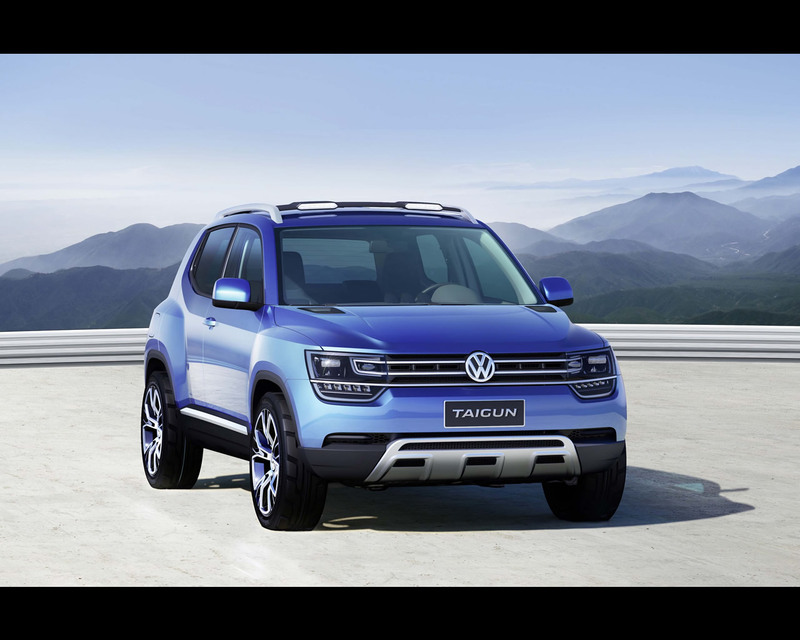 The Taigun, which is equipped with 17-inch alloy wheels and size 205/50 R17 tyres, is also adept at handling off-road terrain thanks to its high engine torque and high ground clearance. Also providing a plus in active safety is the ESC electronic stabilisation programme. 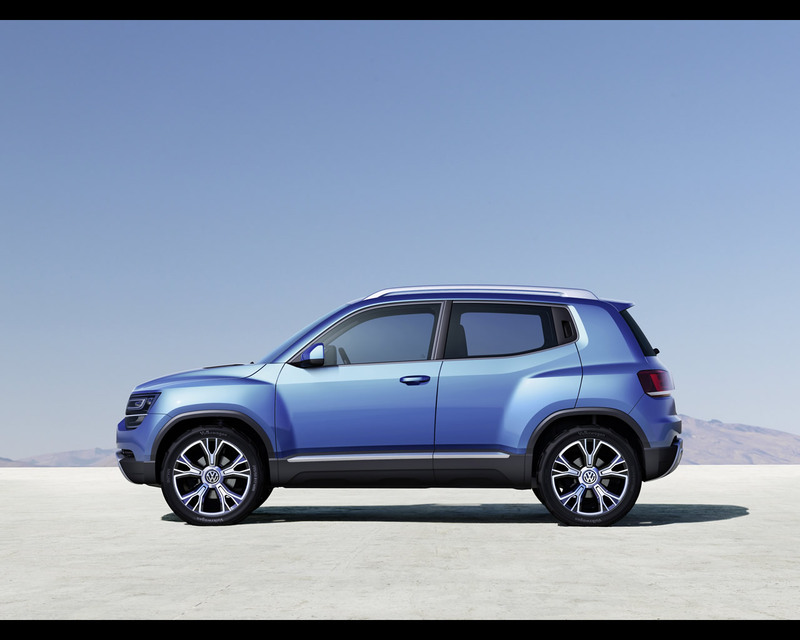 The styling of the concept car, which is painted in “Seaside Blue”, lives up to its sophisticated technological concept. The Taigun has an exterior look that is independent, confident and very logical and clean. In a side view, the flared wings catch the eye; their powerful form is smoothly integrated into the side section and extends into the doors. The front and rear sections of the concept car are visually joined by a precisely sculpted character line beneath the side windows; at the rear, this line transitions into the C-pillars. In the lower body area, the rugged side trim panels are appealing; they cover the side sills, wheel arches and lower sections of the bumpers. 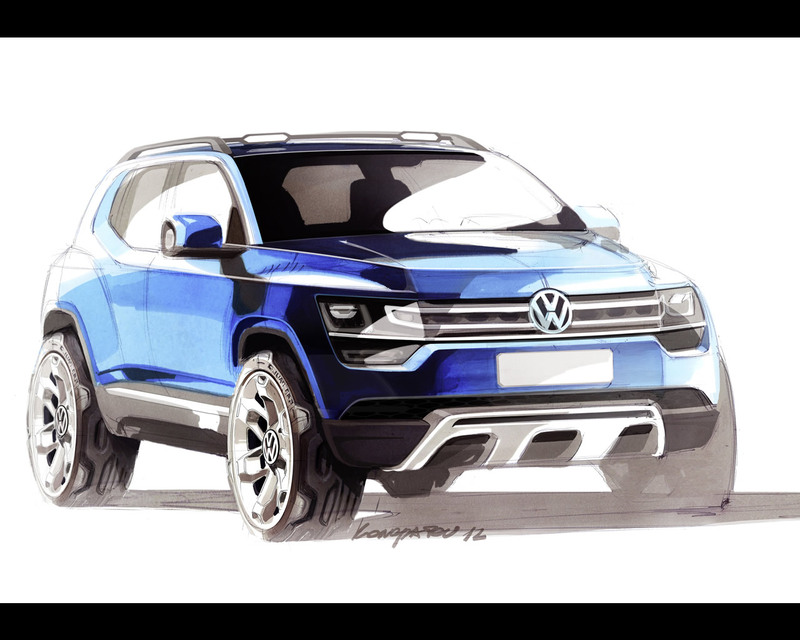 The vehicle’s short overhangs are advantageous both visually and for space utilisation; in front the overhang is just 708 mm, and at the rear 681 mm. Last but not least, practical roof rails with integrated LED spotlights upgrade the vehicle’s look in side profile. 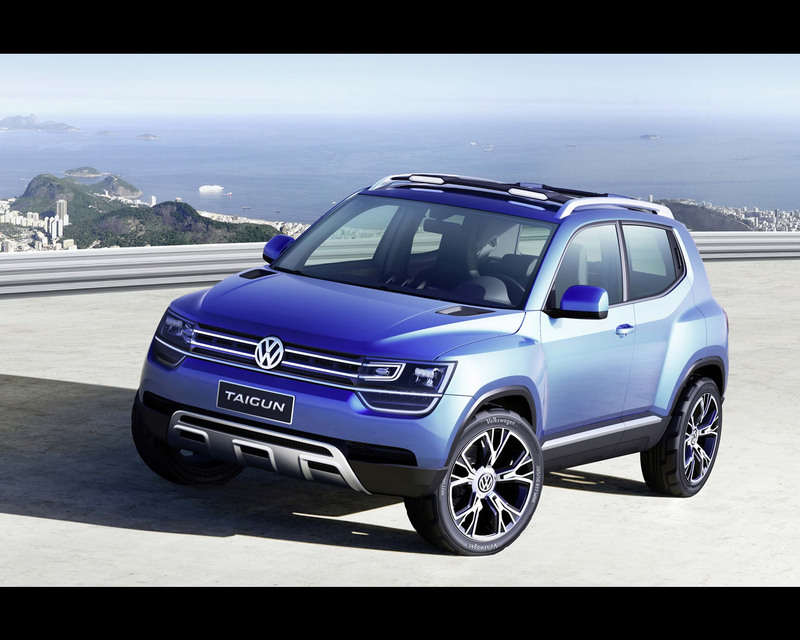 Like the Volkswagen Tiguan and Touareg SUVs, the Taigun also exhibits lines that are dominated by horizontal design elements in front. A metal under-body protection panel was designed into the bumper. This was also done at the rear bumper. 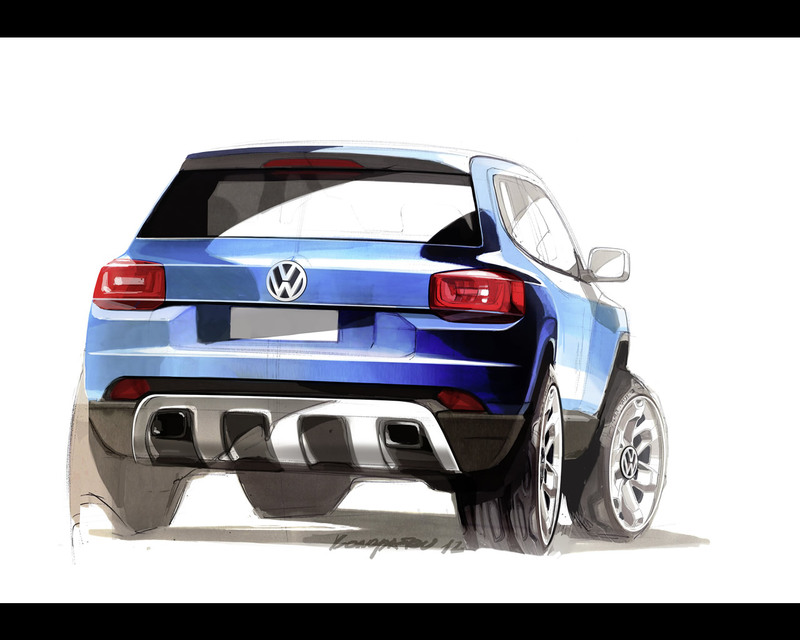 Overall, horizontal lines also define the styling at the rear section. 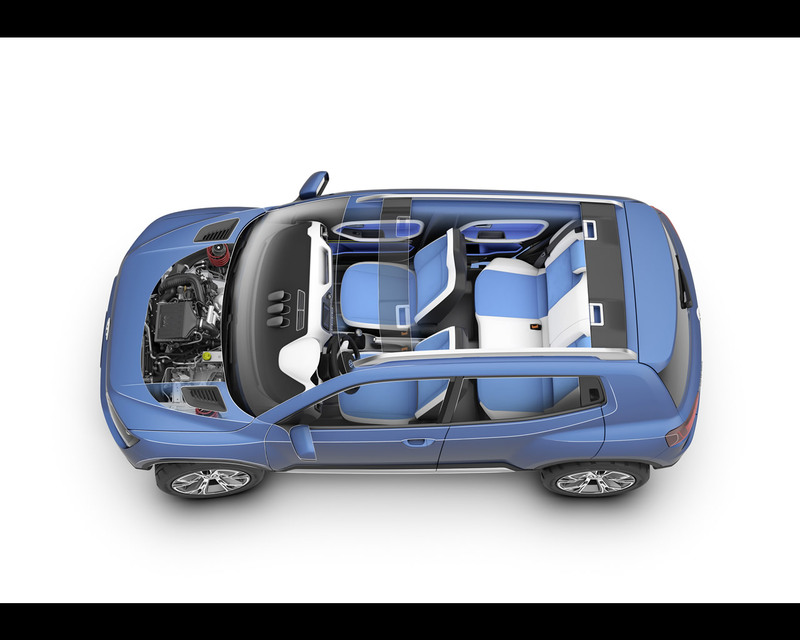 The tailgate of the concept is designed in two-part construction. The upper section that extends down to the lower edge of the rear lights swings upward, while the lower section (1/3) extending to the under-body protection swings downwards towards the road. As on the exterior, the designers developed a look for the interior that reflects, in its clarity, the spirit of the times in our urban world. Those with an affinity for the latest smart phones or tablet computers will also like the interior design, the feel of its surfaces and the layout of controls in the Taigun. The SUV is also a prime example of optimal space utilisation. The tailgate encloses a 280 litre boot-space; when the rear bench seat is folded down, cargo capacity increases to 987 litres. The operation of all interior functional elements is intuitive. Furthermore, the clean design, many storage surfaces and exceptionally good space conditions generate a very positive spacious feeling. 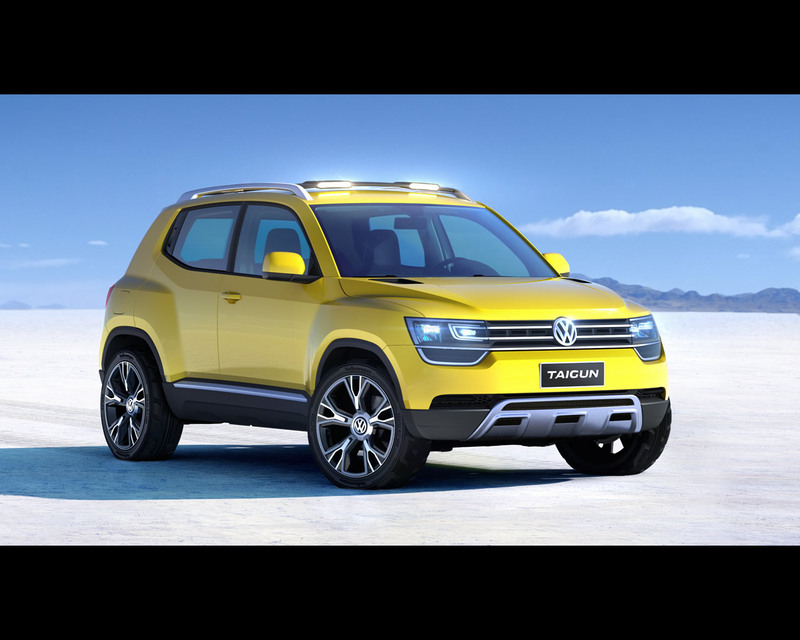 Meanwhile, the youthful colour and material combinations highlight the off-road character of the Taigun. 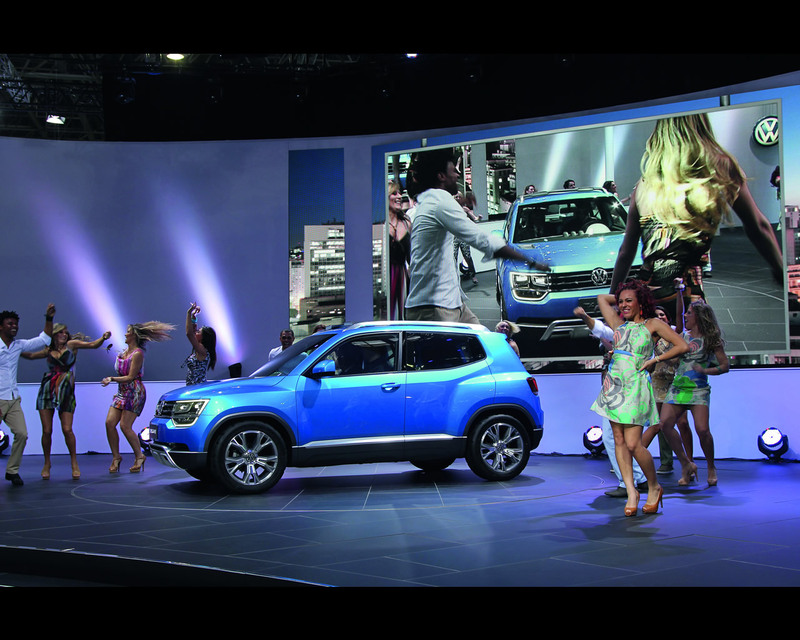 Similarly, the concept development team designed individual solutions for user controls in the SUV as well. They include dials in the air nozzles on the dashboard – which for the first time can be used to control the temperature and blower speed and read their settings.